To enter the Mother's Day Blessing to win 2 months of maid service and a mother's necklace, click HERE. Not only do our choices effect us, but they effect other people as well. They effect our families and those around us. It's a chain reaction. If we choose to not be careful when cooking, we could serve raw meat, causing others to be sick. If we choose to text and drive, we could injure or kill someone, causing a chain reaction in our own life as well as the life of the victim's family. If we choose to not take care of ourselves our health can decline, hurting those who love us. Every choice matters. Had my mom's friend chose not to invite her to church, my parents likely would not have gone to that first church service. Had my parents decided not to go they would not have gotten saved -at least not when I was a baby. Had my parents not gotten saved, our lives growing up likely would have been way different, causing me to be different, causing me to possibly not meet the people who have effected my life, like my husband. Every choice matters. Every decision we make is important. It effects others and effects our future. We need to teach our children to make good choices which in turn can make a difference in the world. Every thing we do matters. Every choice we make matters. 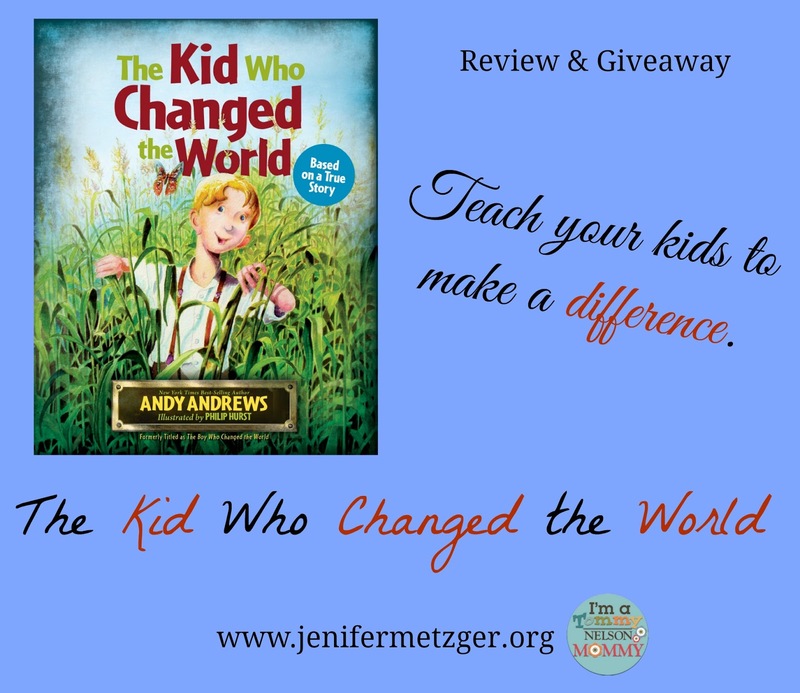 Andy Andrews shares a true story in The Boy Who Changed the World when Norman Borlaug changed the world forever. But was it Vice President Henry Wallace who really made this change? Or maybe George Washington Carver? What about Susan Carver? They all made choices that effected one another and made a huge difference in the world. The Boy Who Changed the World is an inspiring children's story of how every choice matters. To win a copy, complete each task in the rafflecopter below.